Dark brown (color) pearls which are derived from the starch of the cassava root. You can add them to any drink (hot or cold) for a fun and unique experience! This boba maintains a fairly consistent texture with any drink, whether it be hot, cold, or frozen. The shelf life after cooking the A2000 boba is roughly 7 hours. 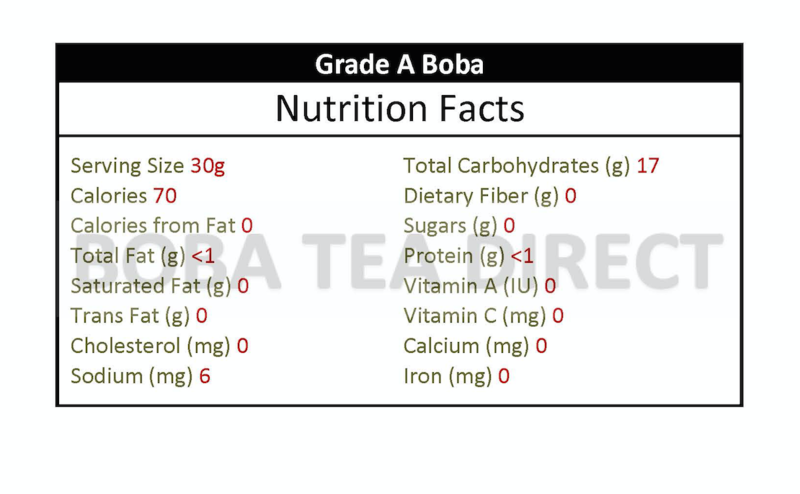 After 7 hours, the boba may begin to lose its shine and become a little mushy, we recommend discarding any unused boba that is over 7 hours old and replacing it with a fresh batch. So much fun! So delicious. i like these are slightly smaller than most brands of pearls. so they dont stick so easily and get stuck in straws!